* They'll sleep peacefully when they lay their head on our Personalized First Communion and Confirmed pillow cases, a great way to mark those special occasions in a child's spiritual life. * Choose from numerous designs and colors that will match a variety of decors. 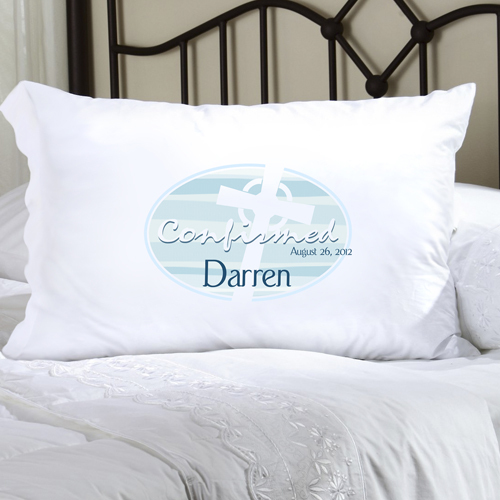 * Made of a luxurious poly sateen, the pillow cases measure 22" x 30" and fits a standard or queen sized pillow. * Personalize with name and date up to 20 characters per line.